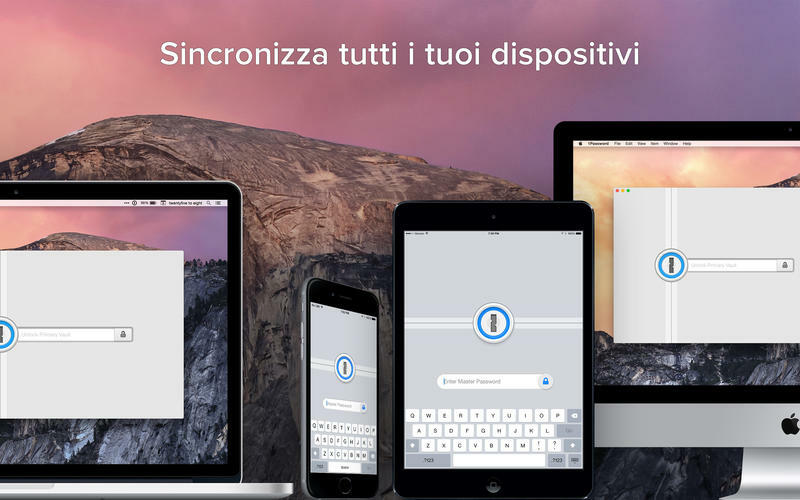 Breve articolo per informarvi che 1Password ha rilasciato la versione 6.0 sia per iOS sia per OSX introducendo numerose novità. 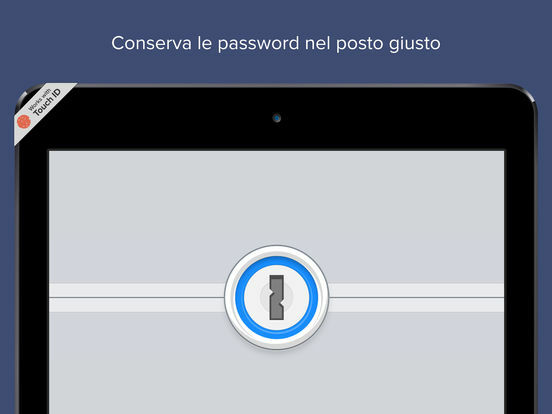 Per chi non la conoscesse, 1Password è una delle più diffuse app, se non la più diffusa, per la gestione delle password dei vari account. 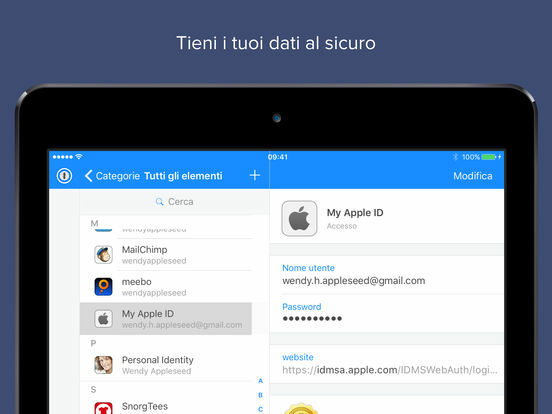 Ci permette tramite una sola chiave oppure la nostra impronta digitale (iPhone 5s o superiore) di accedere all’intera cassaforte delle nostre password, evitandoci così di ricordare tutte le chiavi d’accesso a memoria. 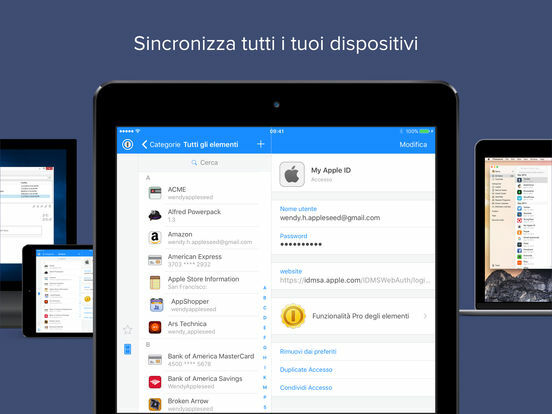 La più attesa era la sincronizzazione tramite iCloud delle casseforti anche per la versione dell’app non acquistata direttamente sul Mac App Store. Good morrow fine lords and ladies all! We hope you had a restful, relaxing, fun weekend. We've plucked a handful of fixes surrounding the way we calculate password strength into this release. Thank you to those who wrote in with these issues. 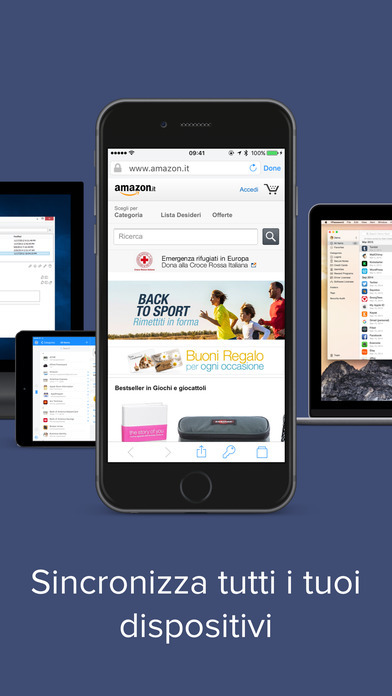 • [Improved] Reworked the design of the introductory screens for new 1Password.com customers. 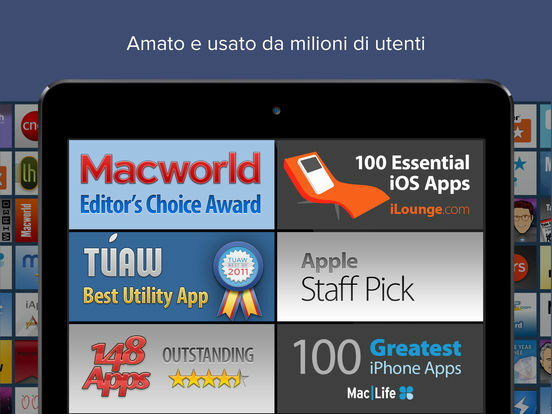 • [Fixed] Corrected a couple minor typos thanks to our eagle-eyed translators on Crowdin. If you need us you can find us at @1Password on Twitter, at facebook.com/1Password, or support.1password.com, we love hearing from you! There comes a point in the lifespan of any app where it’s time to take a step back, admire all that’s been over the years, and take stock of the things that should be addressed before moving forward again. To take this metaphor in a different direction: before you can put that new addition on the house you need to shore up the foundation, reroute the wiring, and finally finish painting that room you’ve been putting off for too long now. Today’s release of 1Password contains many of those types fixes and improvements; many that don’t even appear on this list because they were marked as [INTERNAL] during the development cycle. 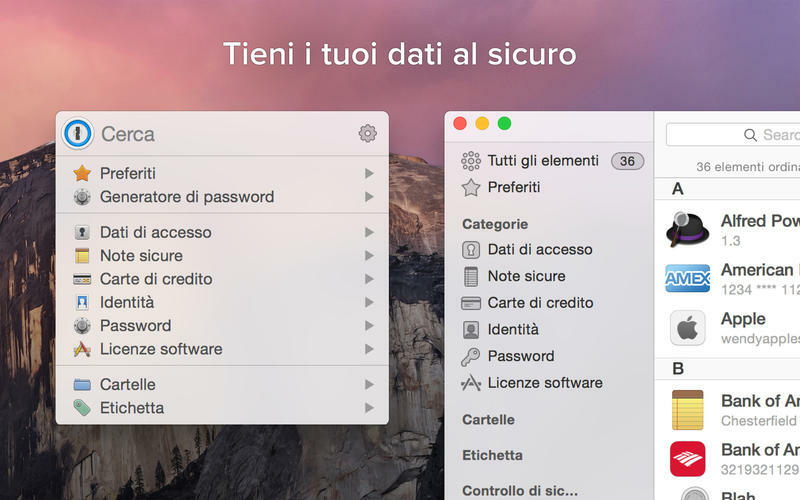 Nonetheless we have a healthy collection of improvements and fixes for you to peruse, as well as one very neat new feature you can see by holding down the Option key while clicking on the 1Password mini icon in the menu bar. If you're looking to chat with us directly be sure to drop us a line at @1Password on Twitter or on Facebook at facebook.com/1Password. If you have questions or need support just pop on over to support.1password.com and we'll point you in the right direction. 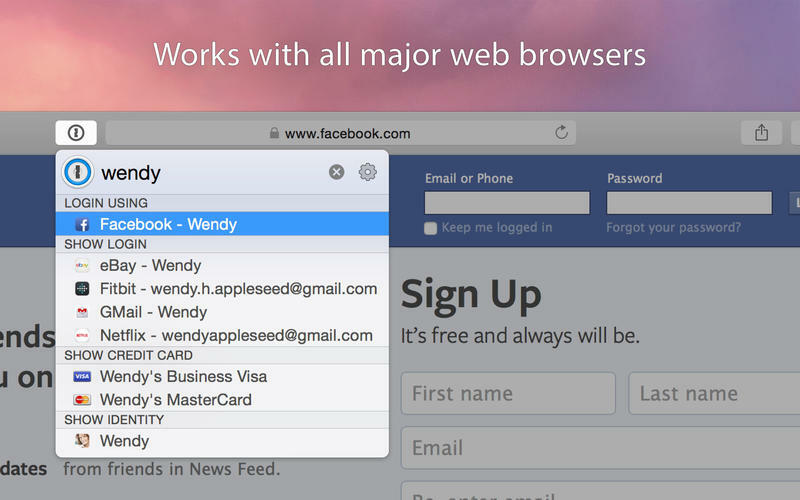 • Updated our browser code signature checks to support the latest Google Chrome updates. • Fixed an issue that could cause the labels for the section separators in the item list to be misaligned. 1Password never prompts you for a review because we value your workflow too much to interrupt it. If you feel generous, please leave a review. It makes a huge difference. Thank you in advance!